For the past couple of months, I’ve been busy taking care of a baby. No, not that kind of baby (not yet anyway) – a sourdough baby! A friend of mine was kind enough to share some of her sourdough starter with me, so I’ve been feeding it weekly to keep it alive and happy. Bakers keep their starters alive for years and years, we even have one food artisan on Real Time Farms using a starter that’s over 400 years old! I’ve mostly been making sourdough bread, muffins, and pizza dough, but this week I was ready to try something a little different. I’ve never made cinnamon rolls from scratch before, and decided that they would be a perfect vehicle to use up some of my starter. 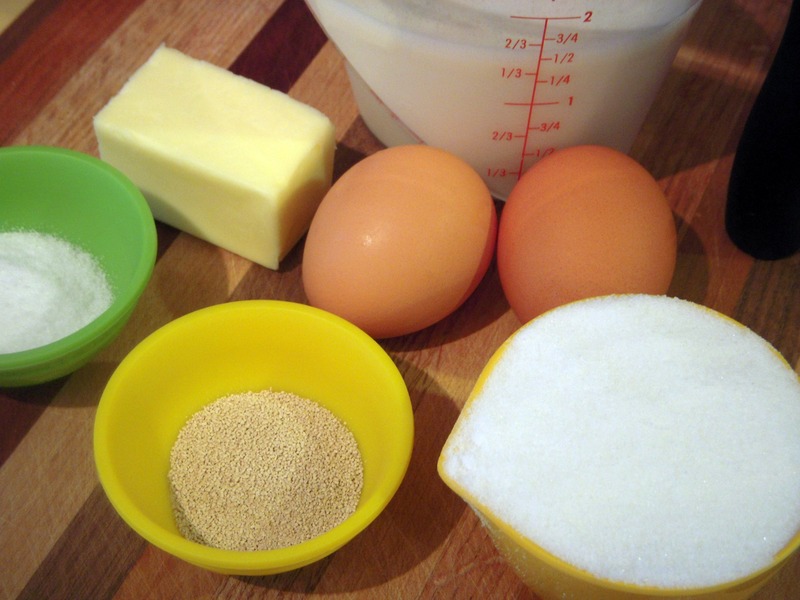 I found a recipe, gathered up my ingredients, and dumped them in my KitchenAid mixer. 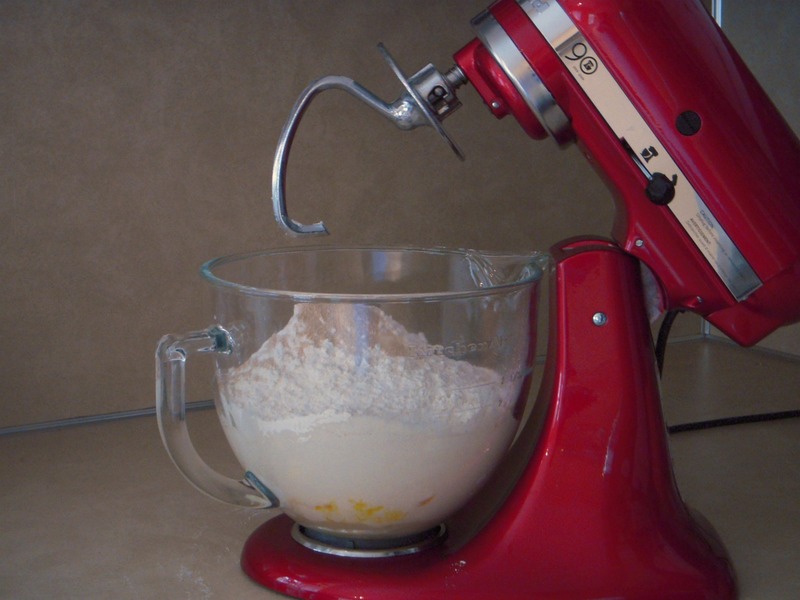 Yes, you can use the dough setting on a bread machine, or mix and knead the dough by hand. I’m completely infatuated with the shiny red toy that my husband bought me though, so I’m in favor of letting my mixer do the work for me whenever possible! The dough should come together into a nice smooth elastic ball. I found I needed to add a couple more tablespoons of flour than the recipe called for – it just depends on how wet your starter is. After the dough rested, I rolled it out into two large rectangles (I doubled the recipe in a moment of cinnamon induced euphoria). 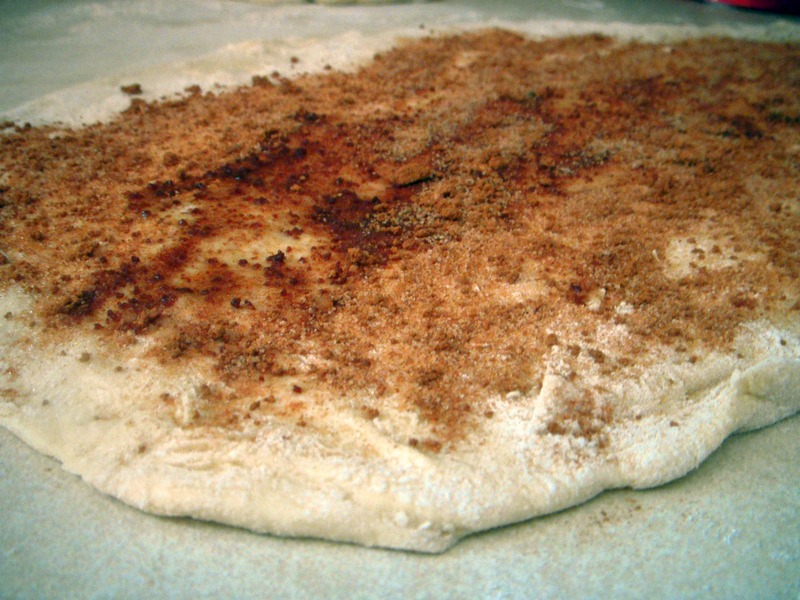 The dough gets covered with melted butter and a cinnamon sugar mixture, gently rolled up, and sliced into sections. Place them in a pan with space between them and let them rise for an hour or so – their edges will probably just be touching after rising. After baking and frosting, all that’s left to do is enjoy these, and I’m betting you will. 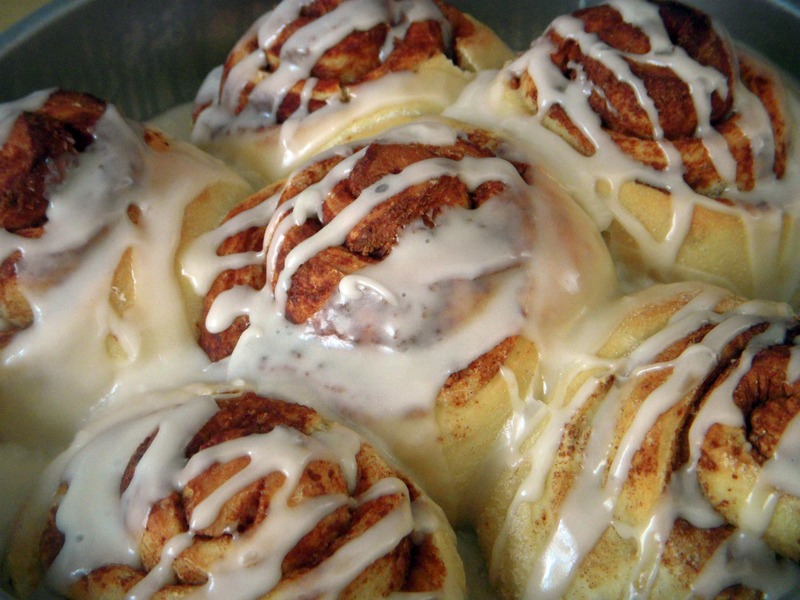 It’s hard to beat a warm cinnamon roll right out of the oven! 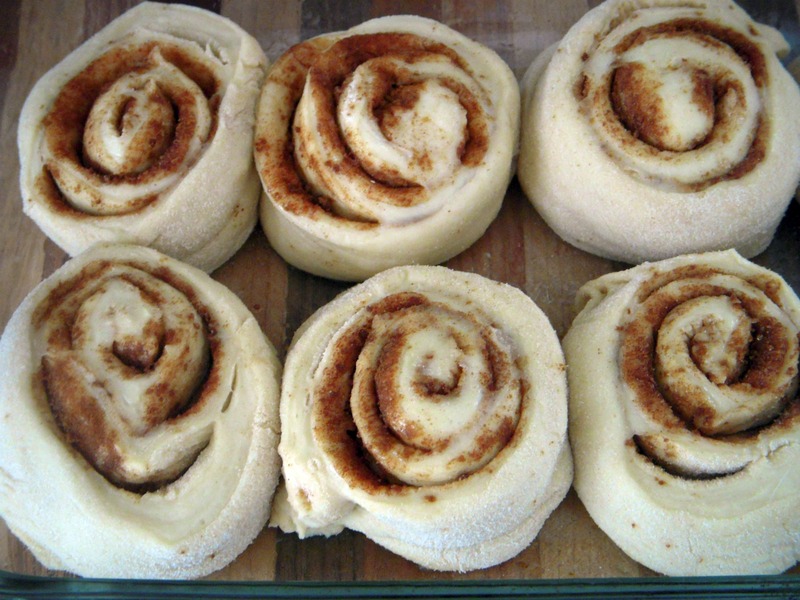 I really loved these, and will use the recipe again, although the cinnamon rolls don’t end up with a sourdough tang. What other recipes would you recommend I use my sourdough baby in? This entry was posted in In the Kitchen (recipes & more) and tagged cooking, lindsay jean hard, Real Time Farms, sourdough, sourdough starter. Bookmark the permalink. 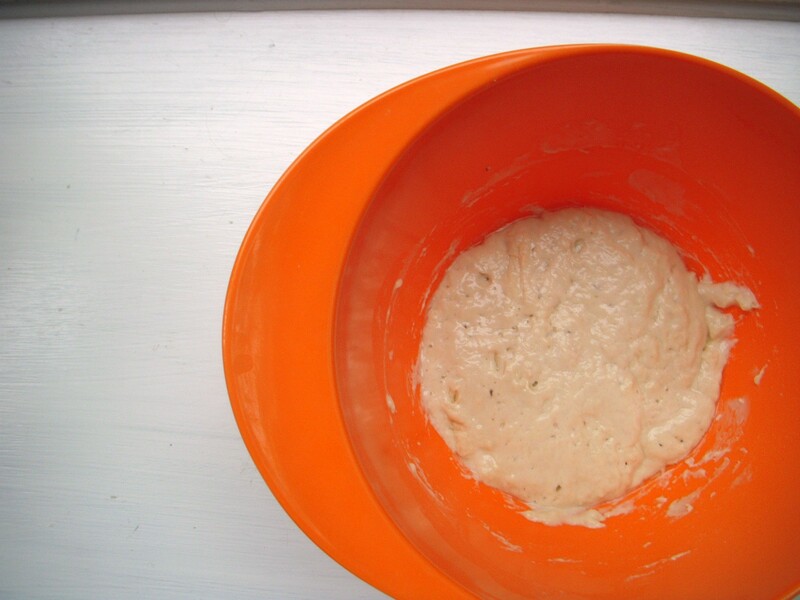 2 Responses to Have You Tried: Working with a Sourdough Starter? Yes, yes, give it a try Kate! Let me know how it goes and what you make!